Trillium Brewing out of Boston is producing some of the best IPA's I've ever had. Today's subject is Speed Mettle. A draft-only release, Speed Mettle is a single dry-hopped Double IPA where the standard Mettle is double dry-hopped. Pours a hazy, lighter shade of orange which produced almost three finger's of pure white head. Smells well-balanced. A nice blend of orange and bitter hops. Hops are a stronger presence, which I expect due to this being a Double IPA, but there's also a tinge of a honey sweetness that is more reminiscent of IPA's from the midwest. There's a lot of juiciness on this one. Some ripe oranges and big mango on the back of my tongue. Near the middle there's a miniscule onion/garlic flavor, but goes away as quickly as it arrived. Considerable bitterness up front, but is more of a fresh-squeezed hop juice which tastes fantastic. Speed Mettle finishes pretty dry, but it doesn't feel like the Sahara in your mouth. There's absolutely no alcohol smell or taste - not even the slightest warming sensation. This is just smooth all the way and dangerously drinkable. 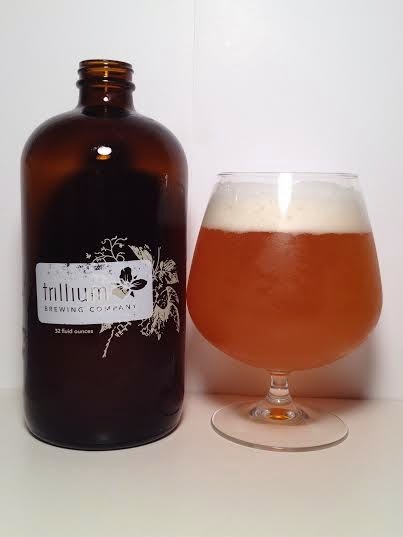 Trillium Brewing is just absolutely killing it with their IPA's. Speed Mettle, while pretty dry on the finish, gives you a combination of orange, mango, honey, onion, garlic, and bitter hops that is hard to match. Usually if you find all of those flavors in a beer, one will tend to overpower the others, but Speed Mettle is just a superbly balanced machine.